The Travel Program is offered for players ages 8 and up. Players must try-out for this more competitive program. Tryouts are held in the spring to place players on a team for the fall and spring season. This program is not coed, and players can expect to travel to other soccer clubs in the area. Teams in the program practice 2 times per week, and play games either Saturday or Sunday. This program is more competitive and serves to further improve individual and team skills and confidence. Most of our travel teams play in the Lanco Soccer League. 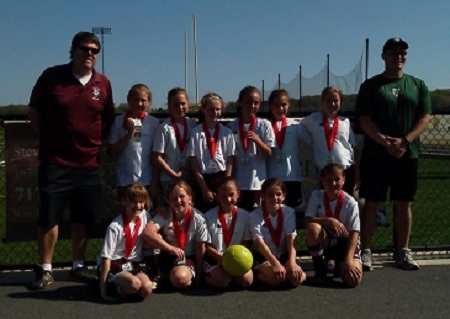 Some also play in the Central Pennsylvania Youth Soccer League (CPYSL).